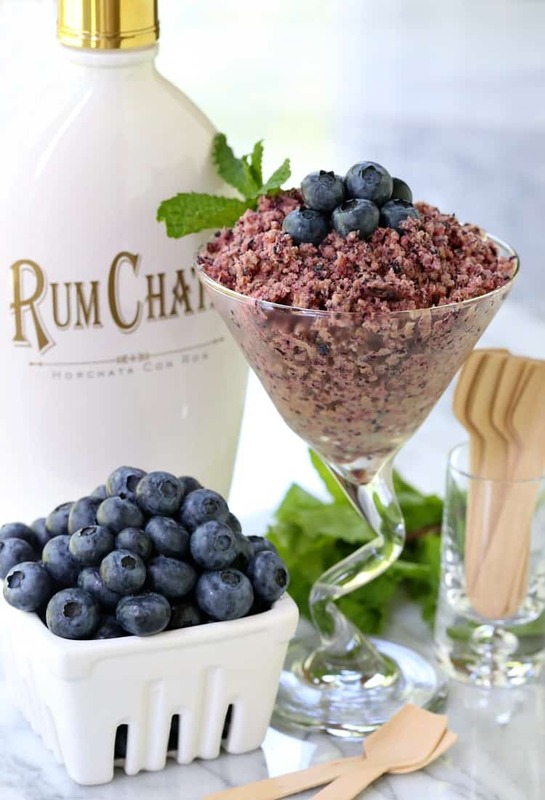 This RumChata Fresh Blueberry Granita is a boozy dessert your friends are going to love! 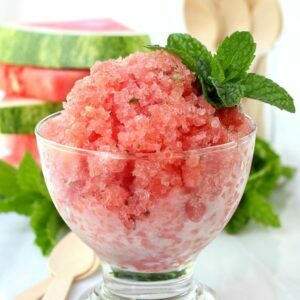 Just a few ingredients is all you need for this frozen treat! Summer time is the best time of year to grab all the fresh fruits and vegetables you can, to cook with or bake with or just to chop up and eat. It always blows my mind when we actually take the time to come home from the store or the market and cut everything up, carrots, cucumbers or melons, then throw it into bowls and just leave it out on the table. The kids don’t even see anything else, they don’t go looking for chips or candy. They see the fruit and vegetables and JUST EAT IT. We look at each other all the time and wonder why we don’t always do it? Why don’t we always have fresh fruits and vegetables cut up and on hand all the time? Well, because life gets in the way and sometimes reaching for a bag of chips is just easier. And sometimes tastier, but we are going to make a lot more effort to have the fruits and vegetables on hand. For us and the kids. Now take this RumChata Fresh Blueberry Granita for instance. Totally easy frozen dessert, literally just two ingredients. TWO!!! 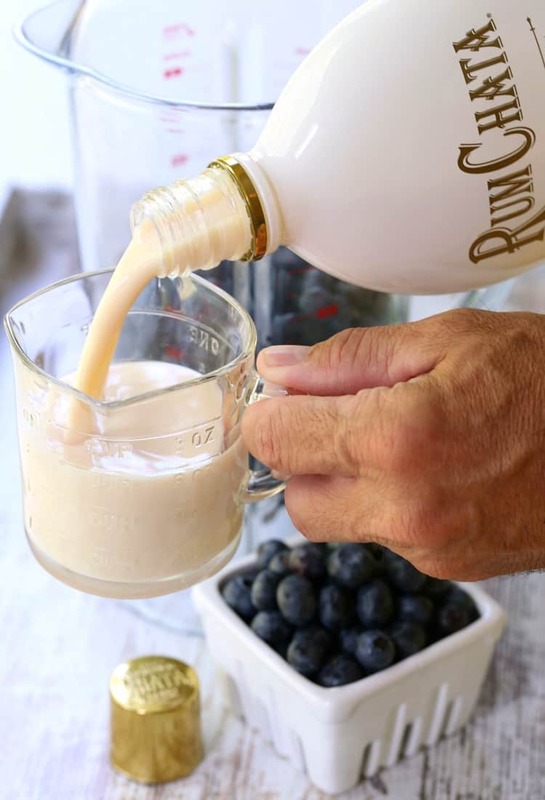 Just fresh blueberries and lots of RumChata. 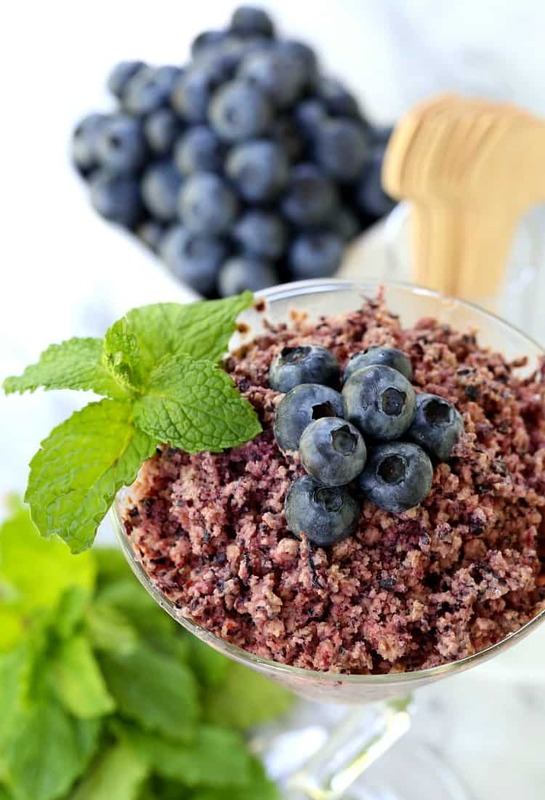 It’s all you need to make this blueberry granita, maybe a small amount of sugar depending on how sweet your blueberries are but that’s up to you. A granita is actually a semi-frozen dessert that originated in Italy. Sort of like an Italian ice but much more texture since the flavored ice is scraped with a fork. In Italy granita is sometimes served as a palate cleanser in between courses. 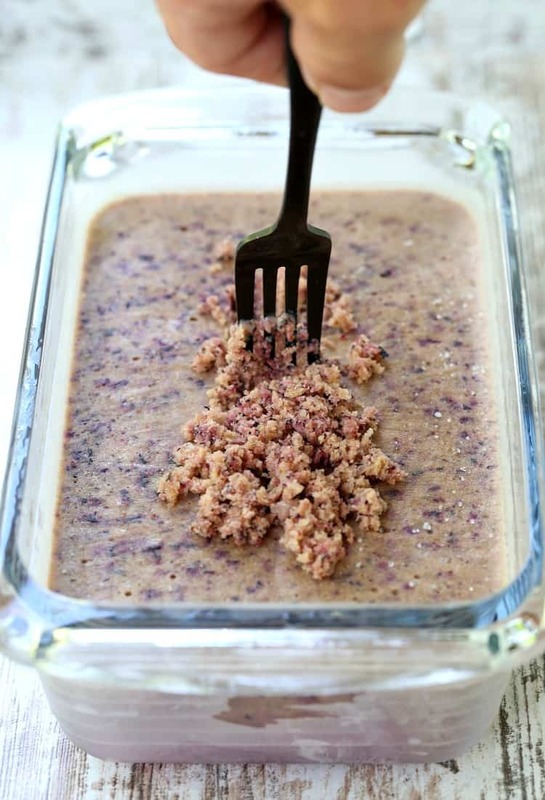 Granita should be sweet but not overly sweet, just like this recipe we have here. Let’s get started on this boozy granita! 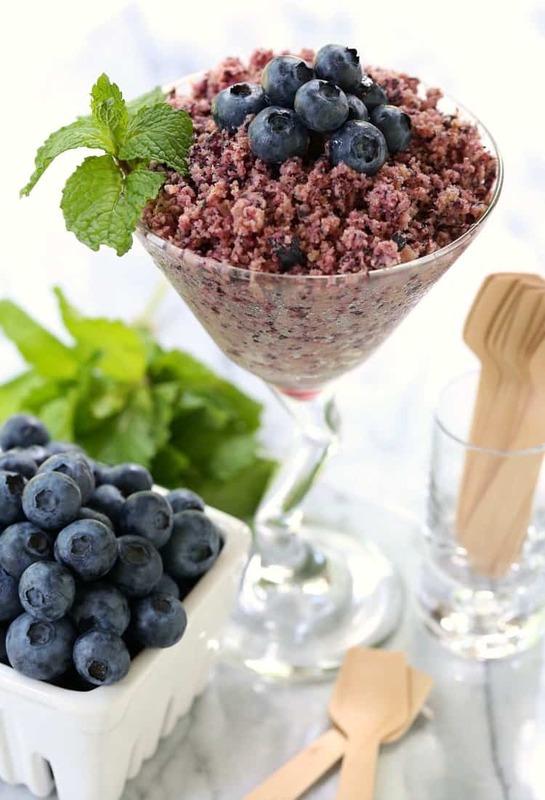 Once you get the blueberries into your blender and pureed you can give it a taste and see if you like it to be sweeter. Again, granita isn’t supposed to be really sweet so I didn’t add any sugar to mine. Take this RumChata Key Lime Pie Cupcakes for example, delicious cupcakes on their own but add a few splashes of RumChata and they are that much better. Now just pour the blended up blueberries into a bowl and stir in the booze. That’s is guys – now just freeze and serve. When this RumChata Fresh Blueberry Granita comes out of the freezer, grab a fork and start scraping it just like this. You get these cool, boozy ice chunks that you can spoon into whatever type of glass you like. I chose a martini glass because this is a boozy, frozen cocktail to me that can be swapped out as a dessert. 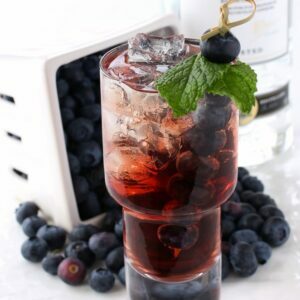 So fresh and delicious tasting, this RumChata Fresh Blueberry Granita is going to be a hit at all your summer parties! 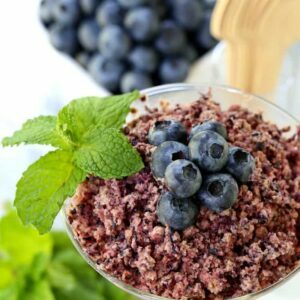 This fresh blueberry granita has only TWO ingredients! You guessed it, RumChata and blueberries. After it freezes, scrape the granita with a fork to get the perfect iced texture! 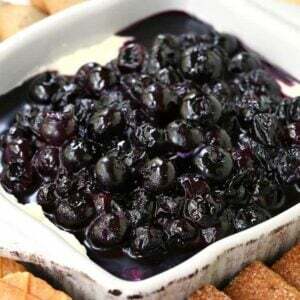 Add the blueberries to a blender and puree until smooth. Taste for sweetness, add sugar if needed and pour into a bowl. Stir in the RumChata and pour into a 9 x 5 inch loaf pan or an 8 x 8 square dish. Freeze overnight or up to 6 hours then scrape with a fork and add to a serving glass.